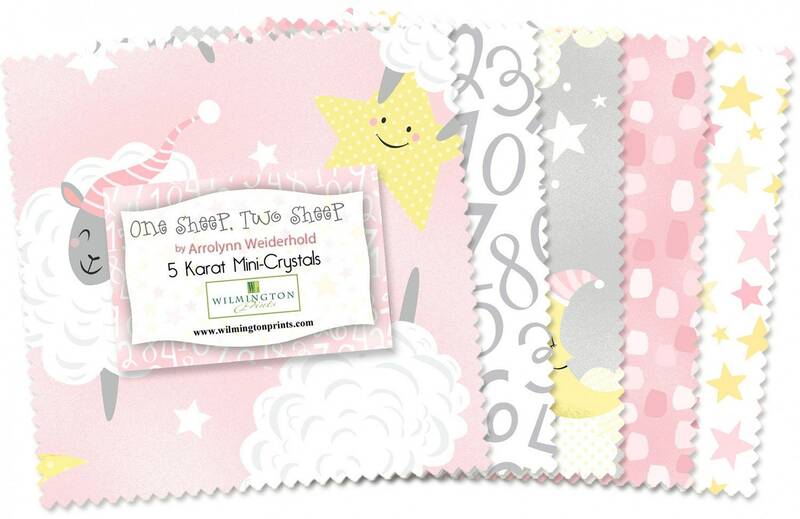 Wilmington Prints has just released this wonderful line of fabric, One Sheep Two Sheep. In this beautiful Crystal Packet you will receive 24 5 inch squares from this beautiful line of fabric. Darling sheep, stars, Numbers, The Moon and so much more in beautiful soft shades of pink, yellow, gray and of course a soft white. Such a beautiful packet of 5 inch squares to create something beautiful for a new mom and baby. All fabrics from The Quilted Nursery Fabric Store is cut directly from the bolt in continuous yardage. We now offer fractional yardage cuts for your shopping, quilting and crafting ease. All shipping overages are refunded on shipment of fabric. All fabric is shipped same day with the exception of Sunday and Holidays!